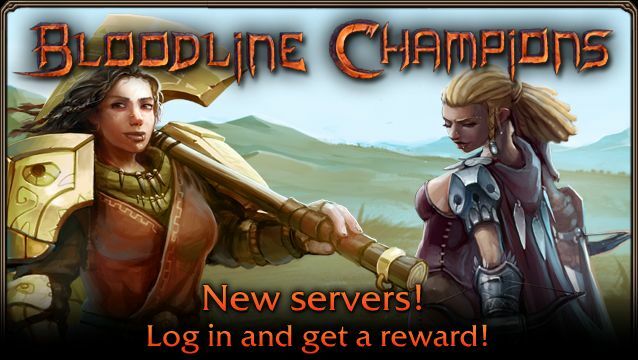 The Bloodline Champions servers are being moved. The new servers will be run by Stunlock. You will need Steam to play Bloodline Champions now. We are working with Steam to remove any regional restrictions currently active. All game accounts will now be connected to a Steam account. New accounts are automatically bound the the Steam account you are using at the time. If you want to play on an existing Bloodline Champions account you will need to use your unique key-code found below, to bind it to your Steam account. If you have multiple accounts tied to the same e-mail address, you’ll receive a separate e-mail for each account. Some new Steam packages will be made available soon! If you purchase the Warrior or Warchief pack during the first 2 weeks and log into the game, you’ll receive a bonus set of silver weapons, one for each bloodline!